Comment: Who will stop Romania’s new leaders if they want put a leash on justice? The changes in Romania’s justice system will be one of the highly sensitive themes of the new governing coalition made of the Social Democratic Party (PSD) and the Liberal Democratic Alliance (ALDE). Romania’s new leaders plan to keep the people happy with generous promises while they may try to put a leash on the anticorruption prosecutors and regain full power for themselves. Romania’s anticorruption quest in recent years, which scored its first major success in 2012, when former PSD Prime Minister Adrian Nastase was sent to jail for corruption, has seen dozens of ministers, MPs, local high officials, and business people sent to court and jailed for corruption, namely for mismanaging and stealing from the state’s wealth. Their efforts have made the political leaders aware that they had to give up the old way of doing business, centered on their own interests and not the country’s and the citizens’ well being, for a new one, based on higher transparency and responsible spending of public funds. Some politicians unwillingly accepted the new state of affairs dreaming of the day when they would again be able to take full power and manage the country without looking over their shoulders. That day may soon come. The governing program presented to the Parliament by the new PSD-ALDE cabinet led by Sorin Grindeanu says nothing about continuing the fight against corruption. Instead, it states that “justice must serve the citizen”, and that, starting 2017, “we aim to modernize the legislation for the judiciary, preventing excesses and abuses from this power of the state.” Furthermore, the newly appointed justice minister, Florin Iordache, has been one of PSD’s champions in the Parliament in trying to limit the powers of the prosecutors, according to the local media. Both PSD and ALDE have made it no secret in the electoral campaign that they wanted to put a stop to what they call the “abuses” by some of the state’s judiciary institutions. Their main target is the National Anticorruption Directorate (DNA), led by chief prosecutor Laura Codruta Kovesi. The institution has investigated and sent to court many politicians in the last three years, including former PSD leader and Prime Minister Victor Ponta. Current PSD president Liviu Dragnea got a two-year suspended sentence, in April 2016, for electoral fraud at the 2012 referendum to suspend former President Traian Basescu. The DNA prosecutors, who conducted that investigation, last year sent Dragnea to court in another case in which they charged him with abuse of power. 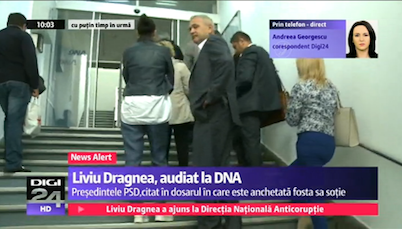 PSD leader Liviu Dragnea had to go to the DNA headquarters in Bucharest several times last year to answer the prosecutors' questions, waiting in line with other suspects and witnesses at the security check. ALDE co-president and former Prime Minister Calin Popescu Tariceanu was also sent to court last year by the DNA for lying under oath in a corruption case. Many other members of the Parliament, heads of the local administration, and local businessmen with political connections have been sent to court by DNA, and some even convicted to jail. However, Dragnea, Tariceanu, and their partners have been claiming that many of DNA’s investigations have been fabricated and based on abuses, with the aim to bring down the country’s most influential politicians and to significantly reduce the Parliament’s power. They also hinted on several occasions that DNA’s cases have been dictated by foreign entities interested in having leaders who are easy to control in Romania. Their claims have been supported by the timing of some of these investigations. Various political leaders have been called to questioning and even held by the DNA right before important elections, on charges related to their activity from several years ago. Some of them haven’t been sent to court, or have been acquitted, thus leading to the idea that the cases against them had been brought up just to block them from getting to power. This situation can’t continue, said both Dragnea and Tariceanu. The first is the new president of the Chamber of Deputies while the latter got his second mandate as president of the Senate. They plan to make the Parliament great again, a respected and powerful institution, thus giving the power back to the people, who elected the Parliament, they claim. However, their statements are contradicted by their actions in recent days. The Parliament’s special committees showed only a decorative role in hearing the new ministers of the Grindeanu cabinet, on Wednesday, when some of the proposed ministers were validated without answering any questions. All this, because the Parliament had to respect the urgent schedule set by Liviu Dragnea for validating the new Government. In fact, many of the MPs seem not to have an opinion of their own and to follow the party’s guidelines in voting on important issues, which leads to the question: who really has the power, the people who elected them or the party leaders who issue those guidelines? When he was voted president of the Chamber of Deputies, at the end of December, Dragnea also said that the new Parliament’s essential mission would be bringing order to Romania’s legislation, including the one for the judicial system. Some of the priorities stated in the governing program for the judiciary are adopting the law on the magistrates’ responsibility, and changing the law on the ministers’ responsibility and the law on the public administration responsibility. Although the changes haven’t been mentioned, the initiatives that PSD and ALDE have promoted in the past speak for themselves. 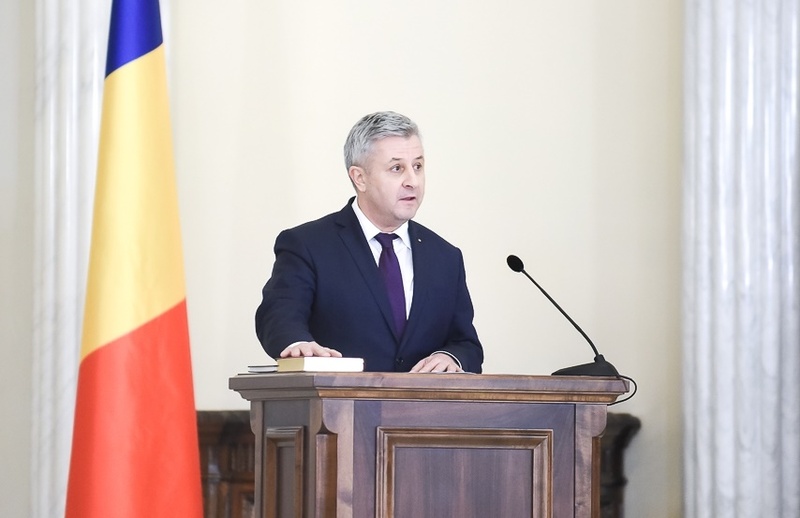 PSD and the newly appointed justice minister Florin Iordache promoted in 2013 a bill that didn’t allow prosecutors to use wiretapping made on national security grounds in corruption cases. This led to a situation in which DNA, which had been relying on the Romanian Intelligence Service (SRI) to gather evidence on some of its targets, had to rework some important cases. On the other hand, in some major cases, pieces of compromising and often juicy dialogues between politicians and business people, which had been recorded during investigations, were leaked to the media before the cases were sent to court, often leading the public to think that those people were guilty before they had the chance to defend themselves in court. The new justice minister was also among the initiators of a bill that grants lawyers higher immunity, which the Parliament voted in October 2016, according to Hotnews.ro. Additionally, he was one of the MPs who were involved in promoting several other controversial bills in December 2013, including the amnesty law and a law that changed the Penal Code and removed MPs from the public clerk category, which would have made it impossible for DNA to prosecute them, according to Gandul.info. Some of the provisions in these bills were later ruled unconstitutional. Meanwhile, some of the MPs who wanted to pass those laws have been sent to court and even convicted. Of the new Government’s members, labor minister Lia Olguta Vasilescu, who has been the mayor of Craiova, has also been investigated by the DNA and even detained, in March 2016. The prosecutors sent her to court in July 2016 on charges of bribery, influence peddling, and money laundering. However, the Bucharest Court sent the file back to DNA, in December 2016, and Vasilescu said that the court’s decision proved that the investigation had been carried out by illegal means. “The court ruled without doubt that my right to a fair defense was violated and that evidence was obtained illegally,” she said. The politicians’ attacks against DNA have been pouring in recent months, as PSD became more sure of its victory. Former PSD deputy Sebastian Ghita, a friend of former Prime Minister Victor Ponta, launched a personal crusade against DNA’s chief prosecutor Laura Codruta Kovesi in the last few months. He intensified his attacks after the December 11 elections. Ghita, who should check in at a local police station every week as he is under judicial control in a corruption case, went missing just before Christmas. 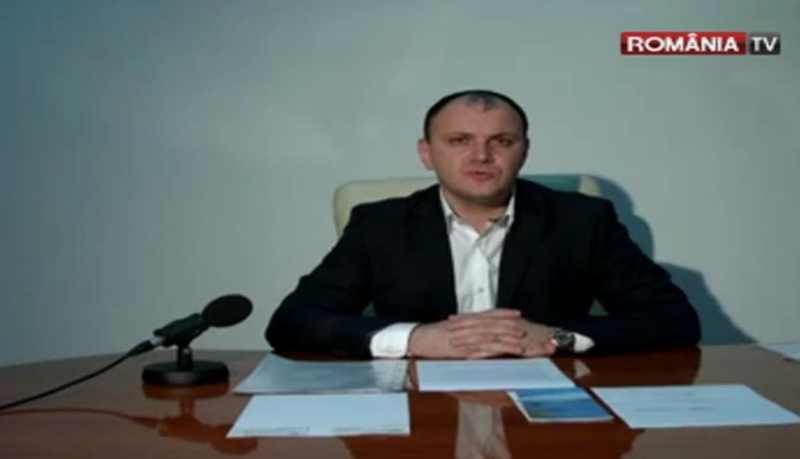 Soon after his alleged disappearance, Ghita started broadcasting video recordings at his TV station, Romania TV, in which he made various allegations against DNA and the Romanian Intelligence Service (SRI). According to Ghita, DNA’s chief prosecutor Kovesi and SRI’s deputy director Florin Coldea are part of a “system” that aims to methodically eliminate local businessmen and politicians who oppose it. He suggested that he met Kovesi at the SRI headquarters, where she was allegedly accompanied by Coldea and a CIA agent, “possibly Kovesi’s chief”, according to Evenimentul Zilei. But he’s the one who also claimed that the Colectiv club tragedy, which led to former PM Victor Ponta’s resignation, was set up by foreign organizations related to George Soros. He also argues that the DNA cases against media moguls Dan Voiculescu, Sorin Ovidiu Vantu, Adrian Sarbu, and himself were fabricated as Kovesi wanted their media organizations subordinated to the “system’s” interests. He even admitted to being involved in Kovesi’s alleged plan to bring down media mogul Sorin Ovidiu Vantu. Ghita also says that DNA has been trying to force him and others into providing false evidence against PSD leader Liviu Dragnea and Victor Ponta. DNA and SRI haven’t made any comments on Ghita’s statements so far. Former President Traian Basescu, who appointed Laura Coduta Kovesi as DNA chief prosecutor, in May 2013, has also turned against her. He has launched several attacks against DNA in the last two years, as members of his family are also investigated in corruption cases and his brother, Mircea Basescu, was even convicted to prison in such a case. Thus, the PSD and ALDE majority in the Parliament may also get support from other parties in passing changes in the judiciary legislation. Basescu’s Popular Movement Party (PMP), the National Liberal Party (PNL), and the Magyar Democratic Union (UDMR) all have members that have been targeted by corruption investigations. DNA and Kovesi seem to have run out of friends, except for President Klaus Iohannis, whom PSD and their allies accuse of being part of the same system. Romania’s international allies, including the U.S., which have supported the country’s anticorruption efforts through the voices of their ambassadors and foreign affairs officials, are now busy with political changes of their own. Thus, Romania’s anticorruption quest in the past last three years may meet its match in the new Parliament and Government. For the moment, Dragnea and his allies seem to be eager to implement their generous campaign promises, which include tax cuts and salary increases, aimed at also buying them the population’s support. More and more Romanians have started realizing that eradicating corruption from the public administration is the best way to ensure the country’s sustainable development, and a better future for their children. These people went to the streets in 2013 to stop the Rosia Montana gold project and to have the authorities answer for the Colectiv tragedy, in November 2015. Their pressure forced the Victor Ponta Government to resign. They may go to the streets again when they will see the new power trying to gain control over justice. However, this time they may not be able to change anything, because there are even more Romanians who still believe that if they make more money on the short term their lives will be better and don’t really care if their leaders are corrupt or not as long as they do something good. The new leaders draw their power from these people and have managed to mobilize them with a nationalistic message. In their view, those who go to the streets are led by agitators and misled by foreign organizations who want to keep Romania to a colony status and not allow it to become the powerful nation it is meant to be. Romania’s new leaders know very well that for most of their people, a bird in the hand is worth two in the bush (or the Romanian version - not trading the sparrow in their hand for the crow sitting on the fence), and won’t stress to much over a few thousands who may take to the streets to defend justice.